It’s one of those nights, like every other night, when the dining halls just seem too unappetizing and several days’ worth of dishes stack up to the size of your towering homework load. Oh, right, and you’re starving. Never fear! 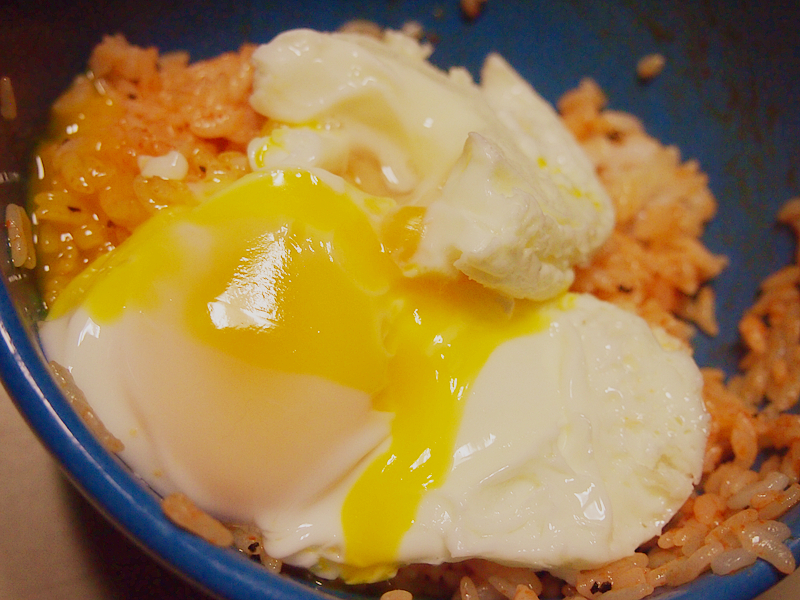 This recipe is quick, easy, and adjustable to whatever you have on hand. Try granulated sugar if honey just isn’t the bee’s knees for you. No fresh garlic? 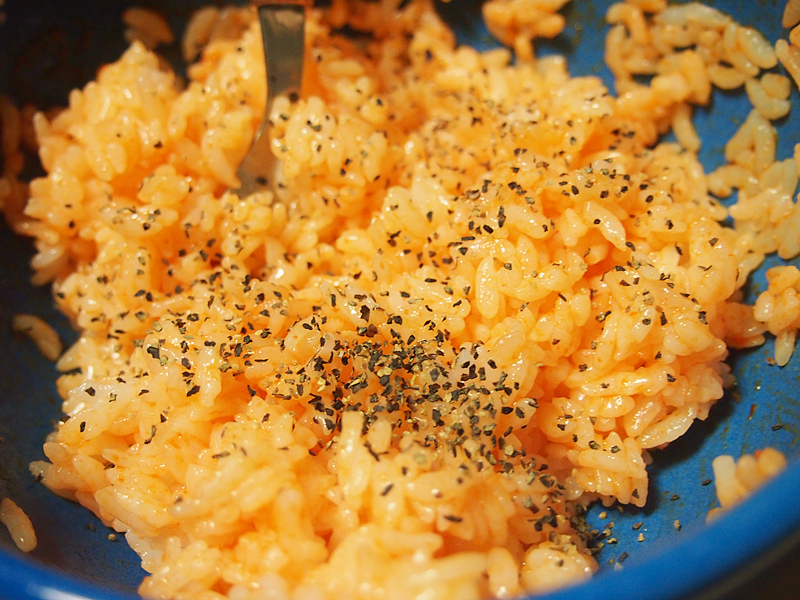 Add 1/2 tsp extra garlic powder or try out the Dorot frozen variety. And while you’re there, maybe try out some ginger to give this recipe a spicy citrus punch. 1. Plop your Annie Chun’s Rice into the microwave for about a 1 1/2 minutes or as the package directs. Add to a bowl and let cool for 1 minute. 2. Microwave green beans for 5 minutes. They will steam in the bag so just let those babies simmer. 3. 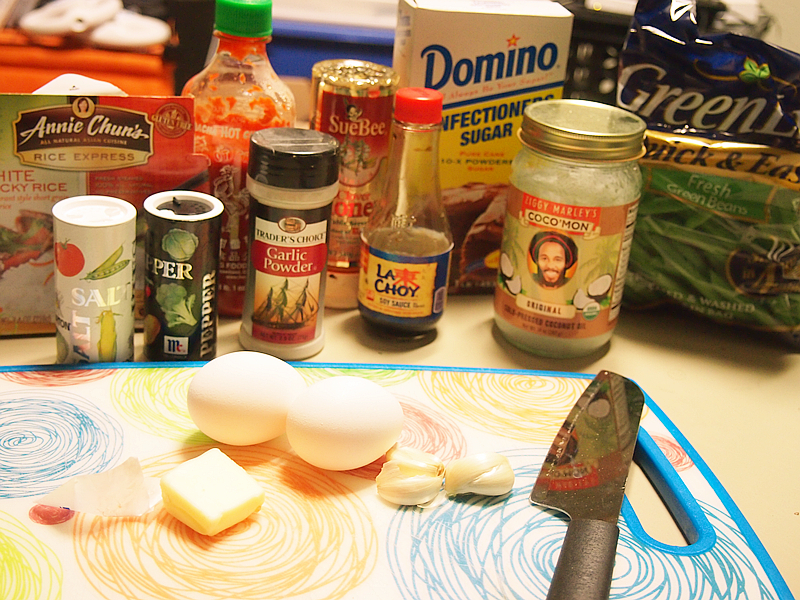 While the beans are in the microwave, heat up a pan over medium-low heat with 1/2 tbsp butter. 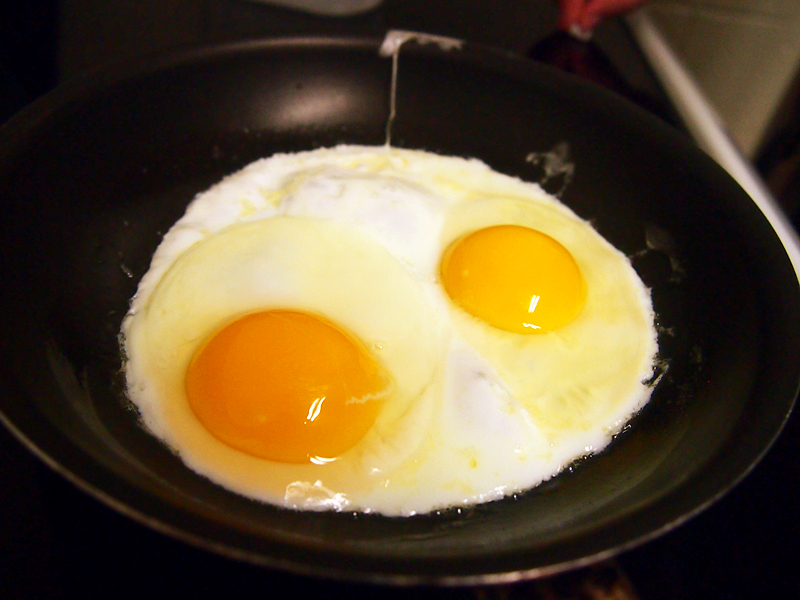 Fry 2 eggs sunny-side up for 4-5 minutes or until the whites are cooked and the yolk is still runny. 4. 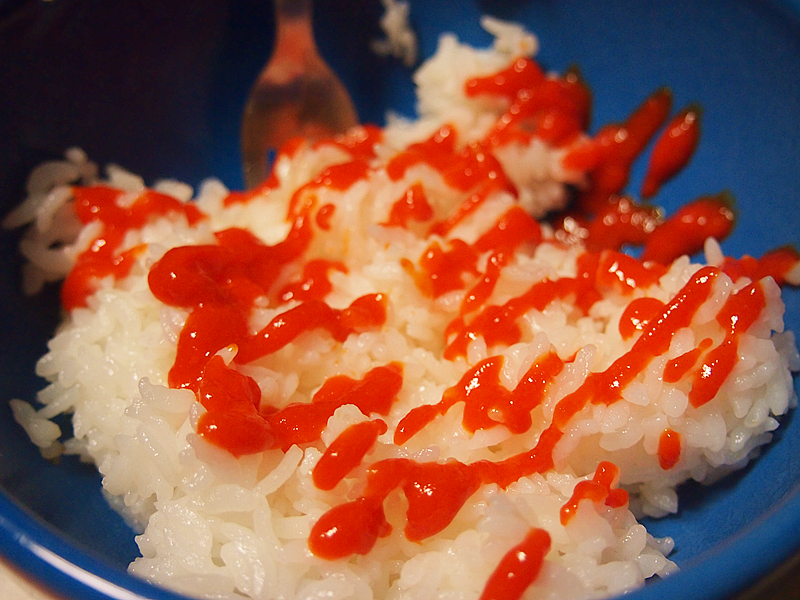 Add Sriracha, coconut oil, salt & pepper to rice and mix. 5. Pile on your eggs. 6. 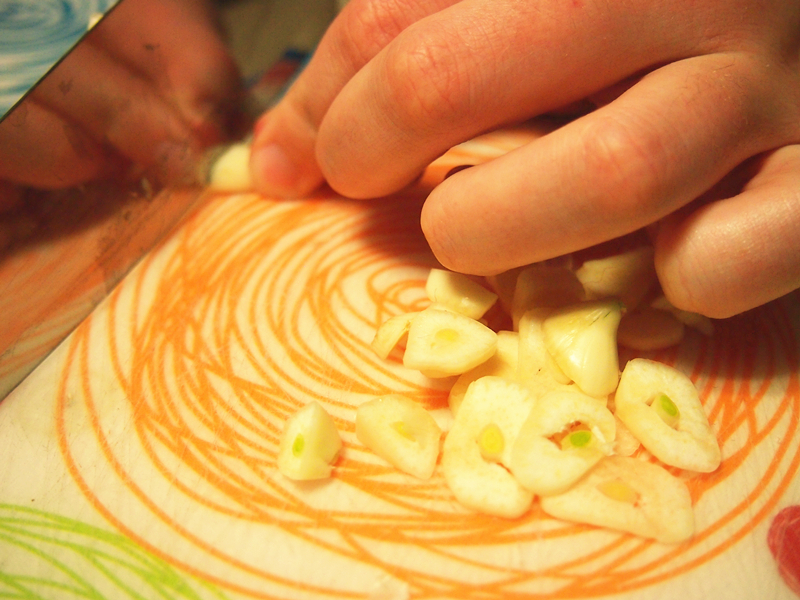 Mince, or finely chop, 3 cloves of garlic. 7. 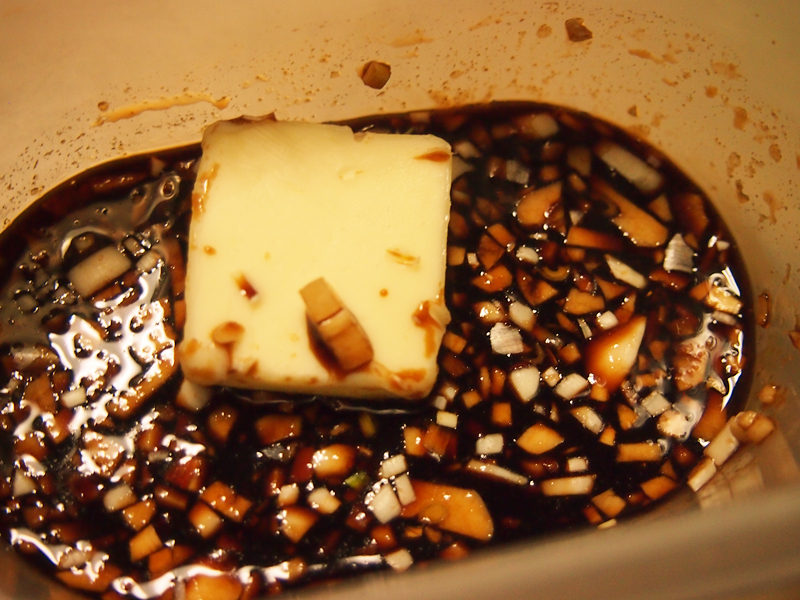 Add 2 tablespoons soy sauce, minced garlic, 1/2 tablespoon butter, 1/4 teaspoon garlic powder and 1 1/2 teaspoon honey to a small Tupperware container and microwave for 1 minute. 8. 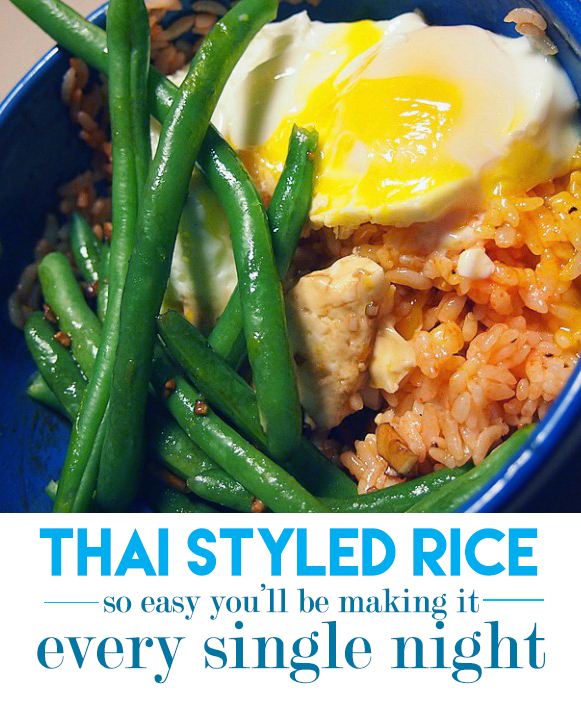 Make a well in your rice, add green beans and sauce and enjoy!